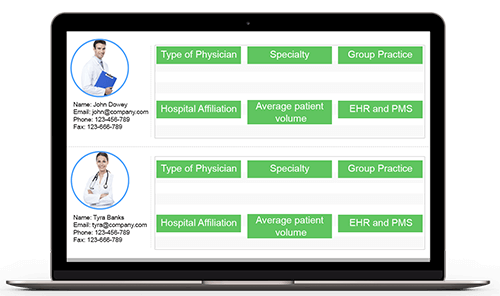 If you are in search for qualitative marketing data to connect with surgeons in a specific geography, Blue Mail Media’s Surgeons Email Database can help you meet your multi-channel marketing goals with ease. Our Surgeon Email List comprises of all the relevant data to help you connect with your target prospects via telephone, email or mail. If you are a manufacturer of surgical equipments, technology or any associated product, solution or service, our mailing list of Surgeons will boost up your chances of success in your multi-channel marketing initiatives. Blue Mail Media’s Surgeons Mailing List has been meticulously prepared to improve your conversations with your current and potential customers and generate quality leads that turn into business. We understand that every business has different business and marketing goals, and thus, we allow our clients to choose from our pre-packaged list of surgeons addresses or get a customized mailing list based on their campaign specific parameters. Also, Blue Mail Media has a strong partner network across Europe, North America, ASIA, Australia, New Zealand, Africa, Middle East and South America, which enables us to serve clients without regional barriers. Our database contains highly accurate contact information of surgeons collected from trustworthy sources such as directories, press releases, daily utility connections, new business filings, corporate websites, user-generated feedback, healthcare associations, medical publications and thousands of Yellow Page directories. Our adept data marketing team of data scientists, marketing experts and others keep our database updated with latest information and remove discrepancies on a timely basis so that you unlock profitable business opportunities in the highly competitive healthcare market.